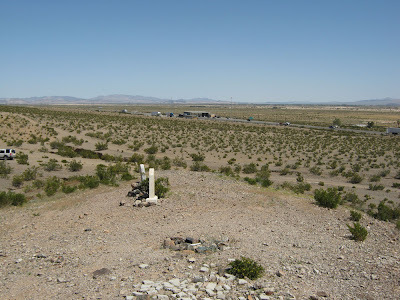 Beside I-15, sitting on a small hill just above the agricultural inspection station at Yermo, CA, (just east of Barstow) is a very small cemetery from the early 1900s. 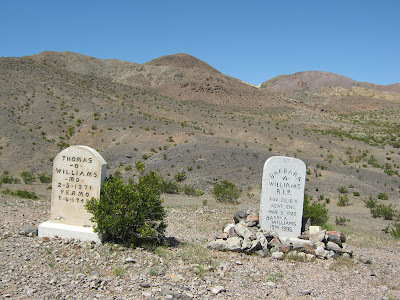 This is the cemetery for the old town of Otis, which was subsequently renamed Yermo. Here's a google map centered on the cemetery. 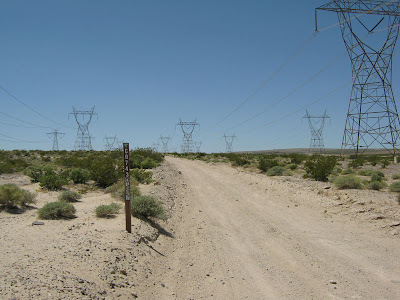 You can see several dirt roads that will get you there. The one I chose definitely required high clearance. Since this place is on the edge of something called the Yarrow Ravine Rattlesnake Habitat Area, I was extremely careful to watch where I was stepping. The town of Otis was named after Harrison Gray Otis, founder of the Los Angeles Times. Otis volunteered for the Union army during the Civil War, starting as a private and eventually making Brigadier General. 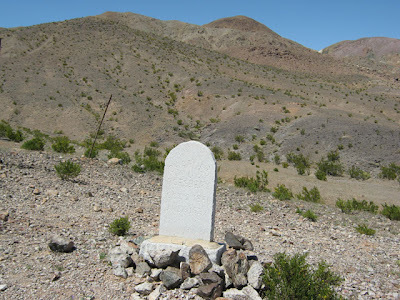 I learned about this site from Bill Mann's "Guide to 50 Interesting and Mysterious Sites in the Mojave" Vol 1. The cemetery was a short stop off on my way back to Pasadena. 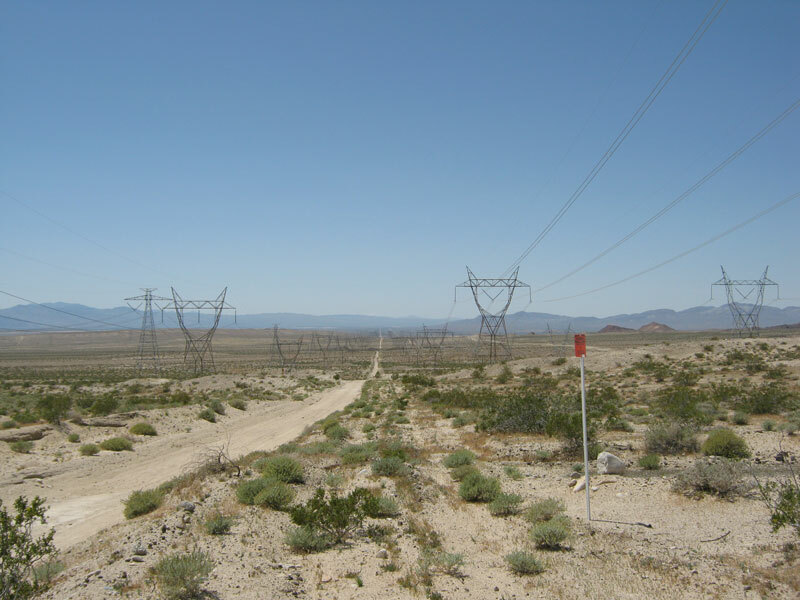 I was driving a powerline road that happened to cross I-15 at that spot so it all worked out nicely. I've now driven that particular powerline road from Primm, NV to Yermo (but not all at once). 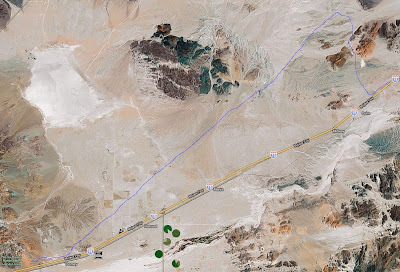 The map below shows the section I drove on this day. This was the most crowded I've ever seen a powerline road. Multiple ATVs and several pickups, including two with college age women using hand-held directional antennas. I guessed that they were tracking tagged animals for research purposes. That big dry lake is Coyote Dry Lake and is used (among other places) by researchers to spot and count meteorites that hit Earth. Here's a list of the Meteoritical Bulletin collection areas. And here's a SETI page about it. 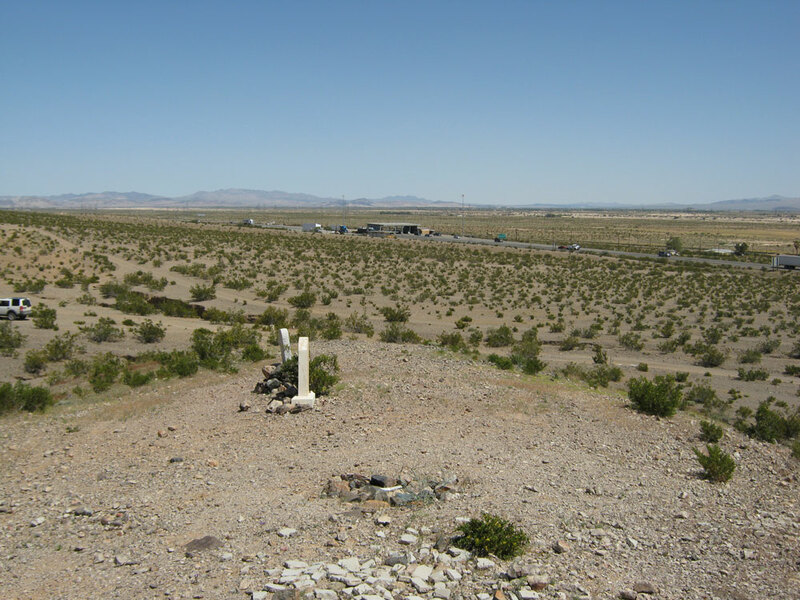 I drove onto that dry lake several years ago but didn't find a meteorite.